What is Vexazone (Pioglitazone Hydrochloride) used for? 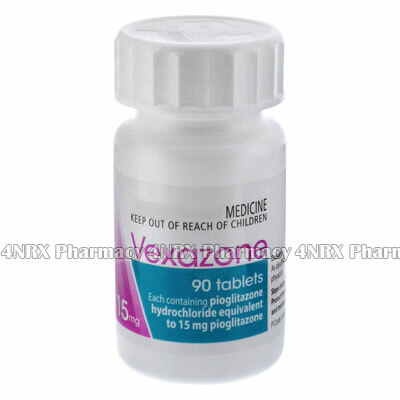 Vexazone is a generic brand of Pioglitazone Hydrochloride manufactured by Alphapharm in Australia. It is available in 15mg, 30mg and 45mg dosages. Pioglitazone is a treatment for type 2 diabetes (otherwise known as non-insulin dependent diabetes mellitus or adult-onset diabetes). Vexazone works by improving sensitivity to insulin in muscle and adipose tissues and by inhibiting hepatic gluconeogenesis. This allows for improved glycaemic control while reducing circulating insulin levels. How should I use Vexazone (Pioglitazone Hydrochloride)? Vexazone is usually taken once a day. The dosage will depend on the individual and the level of diabetic control required. This is usually worked out with your doctor after some blood tests. You doctor may also change you dosage during treatment. Dosage of 15mg, 30mg or 45mg are available. Vexazone tablets are small enough that they can be swallowed whole with a glass of water. Vexazone should be part of a complete treatment plan that includes diet and exercise. What are the side effects of Vexazone (Pioglitazone Hydrochloride)? Vexazone can cause some side effects. Most are only mild and temporary and no cause for concern. However, some side effects can be more serious and need immediate medical attention. Common side effects you may experience while taking Vexazone (Pioglitazone Hydrochloride) may include the following. Let your doctor know if you experience any of these. The following side effects could suggest a serious problem or a bad reaction to Vexazone. If you have any of the following, contact your doctor immediately. Vexazone must not be taken by anyone who has an allergy to Pioglitazone Hydrochloride or to any of the inactive ingredients (lactose, hypromellose, colloidal anhydrous silica, croscarmellose sodium, polysorbate 80, magnesium stearate). If you have any medical conditions, or are taking any medicines, make sure your doctor is aware of this. This is especially important if you are taking chlorpropamide, glibenclamide, gliclazide, insulin, metformin, oral contraceptives, gemfibrozil, rifampicin or tolbutamide. These drugs have been shown to interact with Pioglitzaone. Vexazone will cause a decrease in blood glucose levels. This can make the patient feel tired and drowsy. Make sure you have taken Vexazone long enough to how how this will affect you before driving or operating machinery.